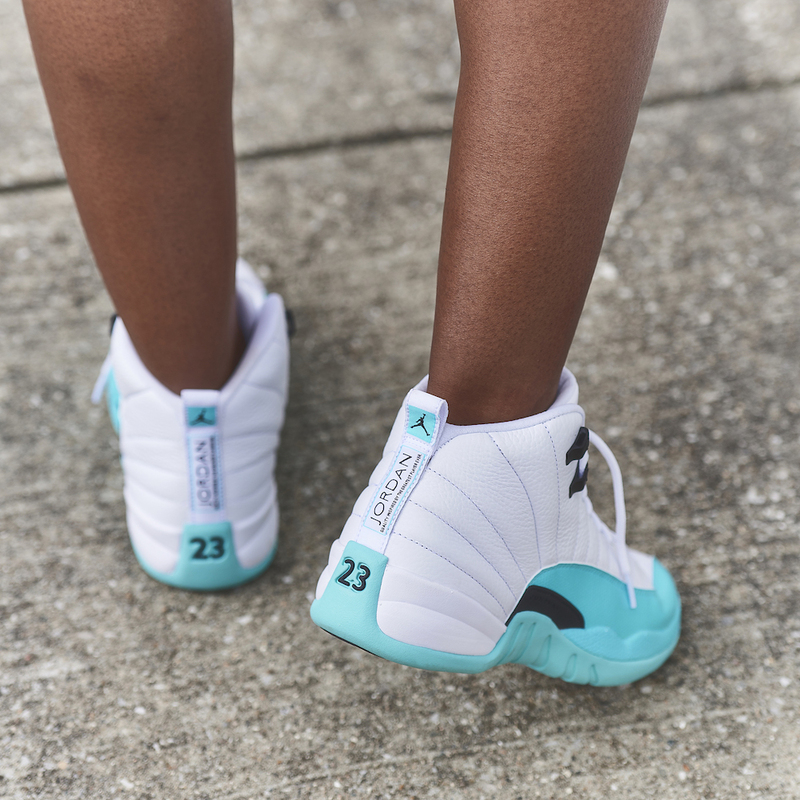 Kids' Air Jordan Retro 12 Releasing in "Light Aqua"
The ever popular Air Jordan Retro 12 silhouette is coming in a new colorway for kids (and women if you size down 1.5). The new style features a white leather upper, a fresh light aqua sole and overlays, and black detailing. This color is making its mark in several shoes from Air Jordan lately, including the Kids’ Air Jordan Retro 5, and it’s clearly making its mark this summer. It’s a fun spin on a classic kids’ sneaker that will add a pop of color to any outfit. Get your pair of the Kid’s Air Jordan Retro 12 at finishline.com on 8/4.